Cheesy, spicy, carb filled bliss. 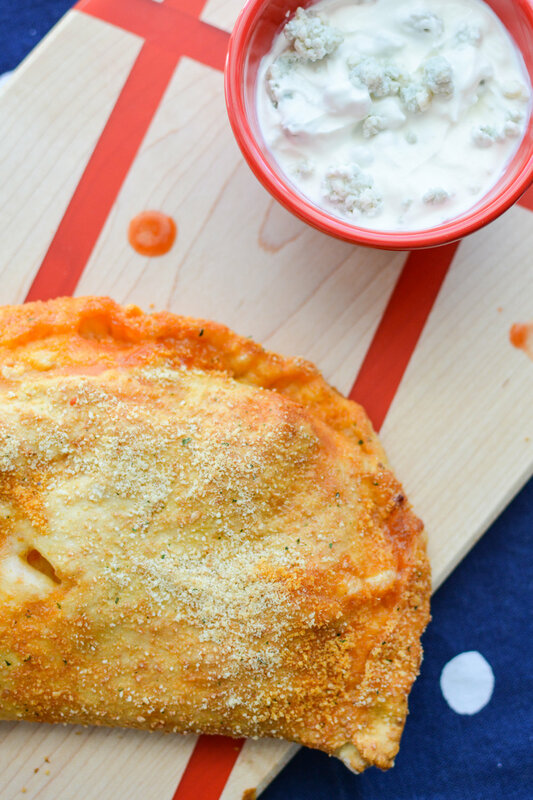 When I was in college buffalo chicken calzones were all the rage. There was this pizza shop close to where I went (hey Babson College!) 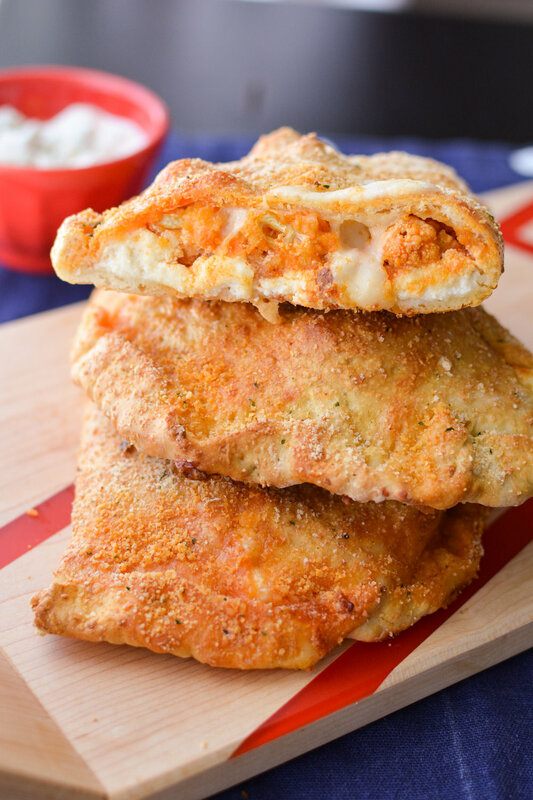 that had the very best buffalo chicken calzones. People still reference how yummy they were 10 years later. Obviously, I'm not about to eat chicken so I wanted to recreate that delicious meal vegetarian style. I couldn't be happier with the results! It's is so incredibly satisfying. The chicken has been replaced with breaded, oven-crisped cauliflower florets tossed in a homemade buffalo sauce. Do you see how delicious they look up above? I could sit down and just eat a bowl of this cauliflower. It's THAT good. That saucy cauliflower gets stuffed in pizza dough with loads of ricotta and mozzarella. I sprinkle additional breadcrumbs and parmesan on top (because why not?) and it all gets baked to perfection.